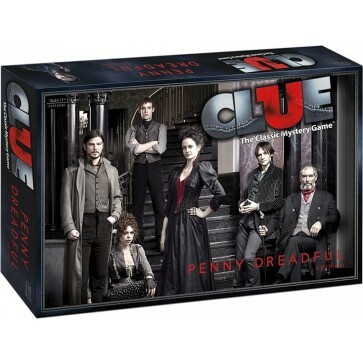 Solve this Victorian murder mystery with CLUE®: Penny Dreadful Edition! Mina Murray has been killed and the murderer remains at large-- lurking in the darkest corners of Victorian London. 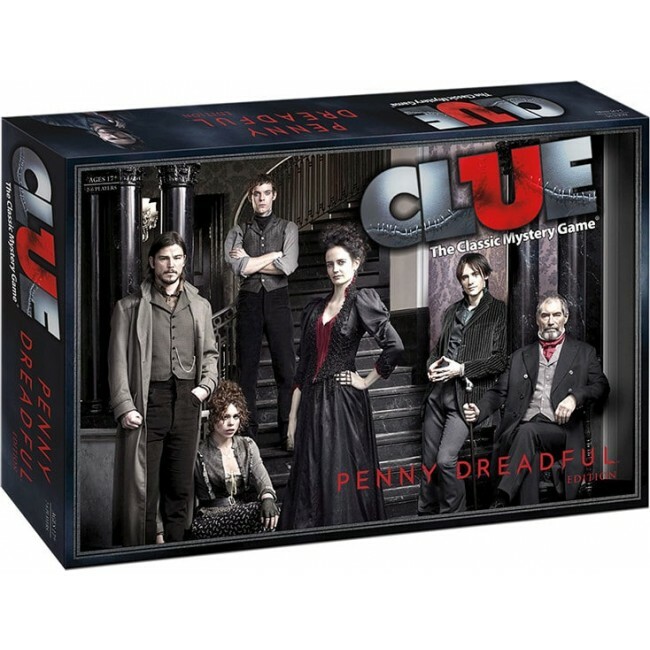 In this classic mystery game of CLUE: Penny Dreadful, it's up to you to uncover the clues and find out WHO killed Mina, WHERE they killed her, and with WHAT weapon. Was it Dorian Gray with a Syringe at the London Zoo? Or was it Vanessa Ives in Ferdinand Lyle's Mansion with Arsenic?